The Civic Area Plan is an ambitious vision established by the City of Boulder to re-think Boulder’s civic heart. 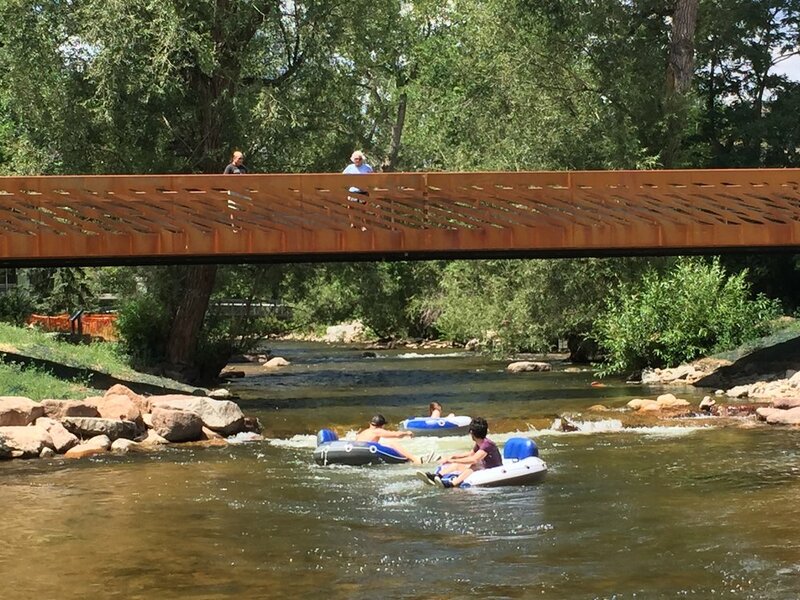 Bisected by Boulder Creek and anchored by Boulder’s Government and Library, this area has been the center of some of Boulder’s most notable activities such as the Farmer’s Market, The Creek Festival, and the Hometown Festival. The area though is threatened by significant flood danger that will require removal of some of the city buildings and reconsideration of other buildings. The Civic Area plan identified a framework for reconsideration of this critical city asset. re:architecture collaborated with Tom Leader Landscape Architecture (TLS), the project lead, on developing the framework for the Civic Area that was initially established in the Vision Plan. This included significant public outreach as well as careful coordination with City staff. re:architecture also worked with TLS, who was the lead designer of the park, on the development of key elements like the new pedestrian bridge. re:architecture also worked extensively on the urban design and architecture of the area studying the site capacity, master planning, and developing site planning scenarios at the bookends, and studied the architectural implications of the flood on all potential redevelopment of both bookends. These complex design tasks provided insight into the urban design potential of the Civic Area.